With an endless amount of ideas available to you, it’s easy to become overwhelmed trying to plan and execute the perfect display of lights. 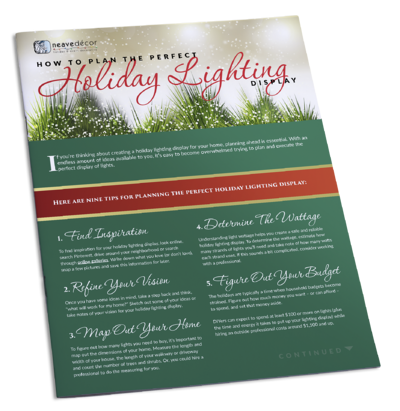 Ready to plan the perfect holiday lighting display? We have something you need to look at … before you get the ladder out of the shed. How to refine you image? tip sheet — just fill out the form to the right!